At some point Fancy decided they want to really make me work for this blogging gig. If you’re a regular reader I’m sure you’ve been following my odd saga with the Jennifer Love Hewitt Fancy box. I thought that maybe, the regular Fancy subscription would be exempt from all these screw-ups. I was wrong. I have cards without items, items without cards and much confusion. Harnessing the power of my frustration and best google-fu we’re going to get into the December 2013 box. We’re going to do this in a slightly different way. We’ll start with the cards I got in the box (You will note there are more items than cards). So if you subscribe to any Fancy box for more than a couple months you are pretty much guaranteed to get sunglasses and headphones. I like the shape on these, but the design just seems like too much for me. I’m not sure if I’ll use them or gift them, but the box they came in is certainly nice. As is fairly typical for Fancy, the cost on these seems pretty inflated. I did a search for “Quay Sunglasses” on Amazon and it seems most retail for $39.95. They do have some other really nice styles that I wish I’d received instead of this one. So this item was one of those without a card so I did a bit of searching. 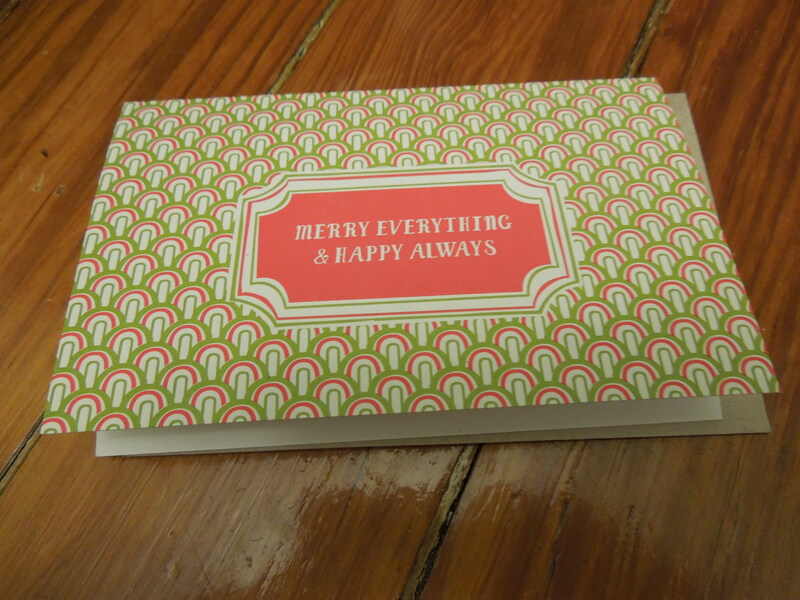 I really love the style of it (although I’d never pay $5.00 for one Christmas card). I only wish this had come in an earlier box so I could have given it out as a gift. Perhaps the idea was that Fancy was sending us a Christmas card? Although it’s blank inside so that really doesn’t make sense. It’s nice and I’ll put it aside for next Christmas. Another item that frequents gift boxes: candles. I generally love candles and I should love this one according to the description “the rich fragrances of cinnamon clove, mulberry cider and other holiday scents”, but I think those “other holiday scents” are what bug me. I didn’t care for the scent so I’m adding it to the gift pile. One of the items with no card is yet another frequent addition to subscription boxes: lip balm. The logo is hard to read but it seems to say “Bib + Tuck”. There’s no scent or flavor indicated but it does say its SPF 15. I tried to search for this on Fancy and there are a billion lip balms and I couldn’t seem to narrow it down so I’m assuming I misread the font. I love lip balms and typically can’t get enough of them, but the hard to read packaging and no indication of what kind of balm this is leave me flat. So this is where I got a card but no actual item. 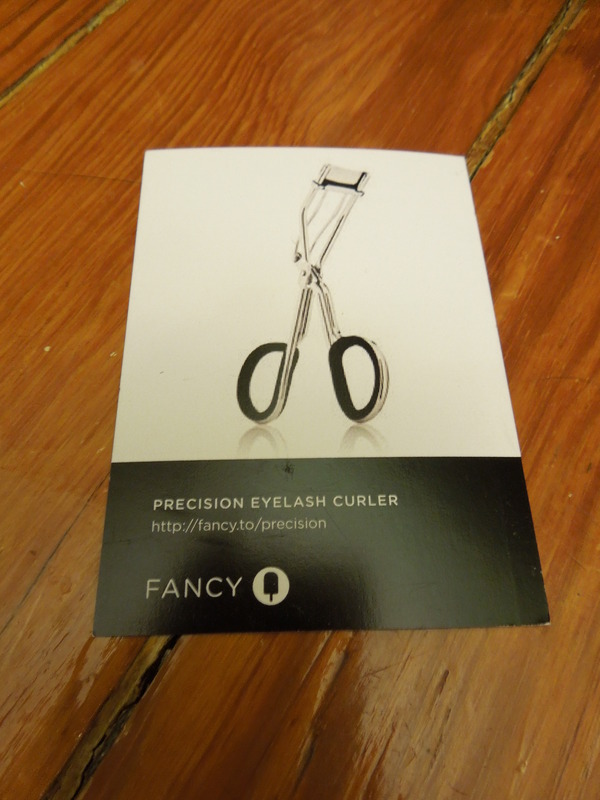 Just judging by the photo it seems like a pretty standard eyelash curler. I’m sure it does its job quite well, but I’m not feeling what’s so special about this that it should be included in a Fancy box. If this was a makeup or beauty subscription I would be more forgiving, but a Fancy box should have things that are unique or interesting. This is way too pedestrian. 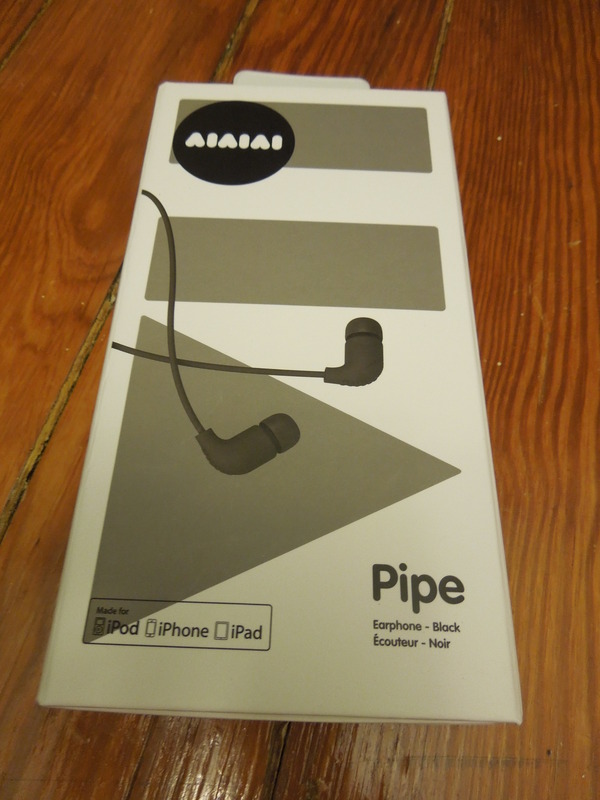 Rounding out “the usual crap you get in subscription boxes” theme of this month are the ubiquitous headphones. As a commuter, I destroy earbuds on a regular basis so having an extra pair is quite useful, but there is nothing special or interesting about these. They didn’t even come in a fun color (and like most of my box they are also missing a card). According to their Fancy page, they are “ergonomic” but I don’t really see much difference between their design and my $20 Sonys. Again, nothing special to see here. 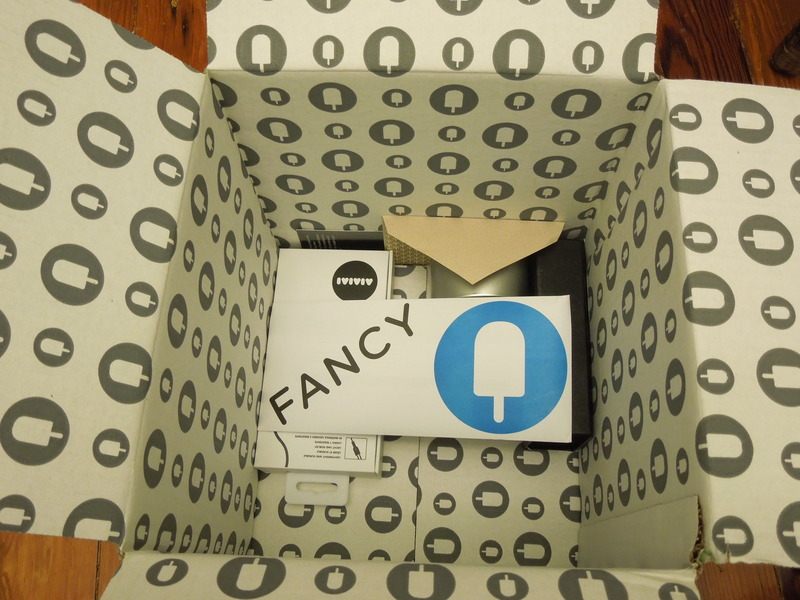 So I contacted Fancy about my problems with the box, including my missing item. They apologized and said they’d send out the eyelash curler right away and asked if there was anything else they could do. 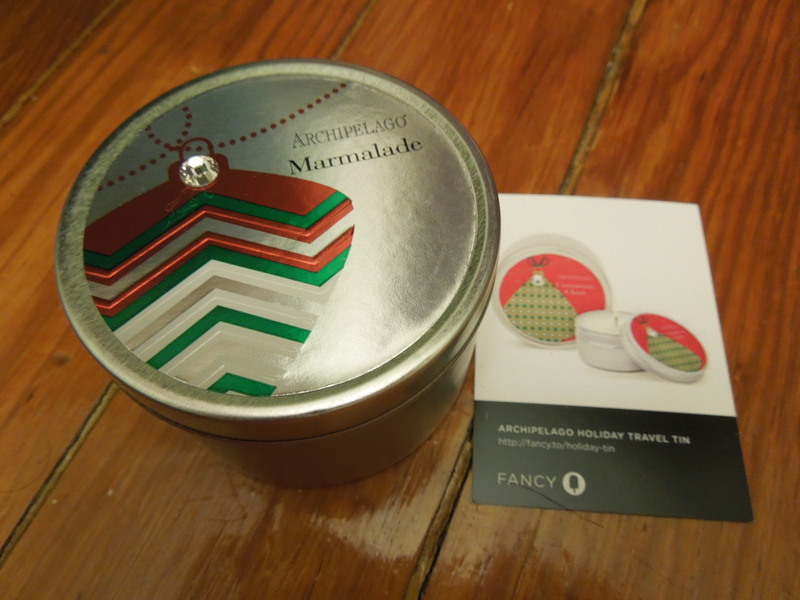 I mentioned that I was a blogger and would appreciate if they could send me the links to the Fancy items that didn’t come with cards (particularly the mysterious lip balm). This was on December 22nd. As of yet, I have not received the eyelash curler or a response regarding those questions. Now I can’t even begin to tell you what I paid for this box since I had leftovers of a gift card, a couple of referral dollars (as always, thank you!) and the gift card money Fancy has been giving me for various screw-ups. The Fancy retail is $134.00 and the regular retail is $107.95 (not including the lip balm). If the missing eyelash curler had been a bar of soap, this would have filled the BINGO board for subscription boxes. Sunglasses, earbuds/earphones, candles, and lip balms are a constant in boxes. What makes the difference is if they are interesting or compelling in some way. None of these were and they all came in the same box. 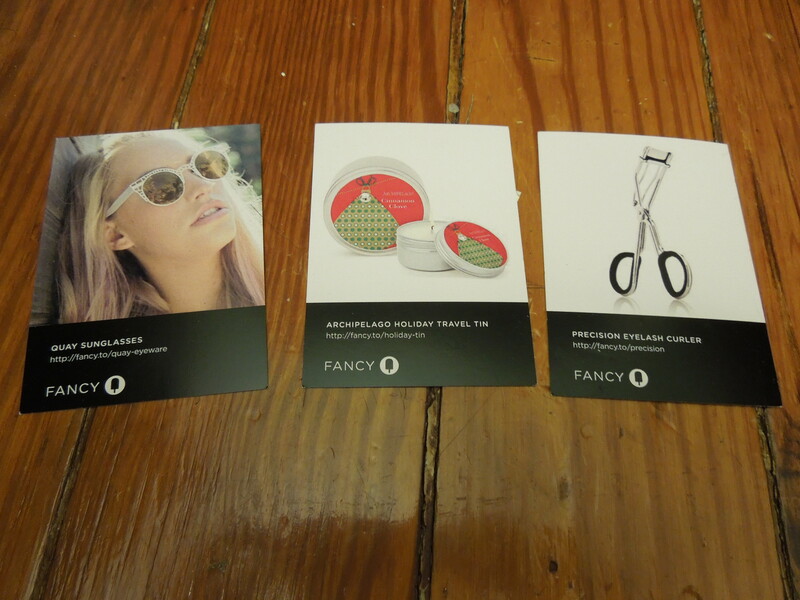 I thought the idea behind Fancy was that it was supposed to send you cool, fun stuff that you didn’t expect or wouldn’t find anywhere else. An eyelash curler you can get at a drugstore and black earbuds are not exactly “cutting edge”. I’m also extremely disappointed in their customer service. I expect that if I pay for a product, I receive it and if I don’t that it is *immediately* rectified. It’s been over two weeks and I haven’t received my missing product and my questions remain unanswered. Fancy, you need to try harder. Much harder. What do you guys think? Do I need to give up on Fancy or give them a break? Thanks for the nomination! Fancy is really hit or miss and some of the other subscriptions seem to be more consistant (like Cocha Rocha & the Tyler Florence boxes). If Fancy could just get themselves organized they cold be amazing. Right now it’s like a lot of potential, but very little pay off. I received this box also and agree…it was boring! I didn’t get any cards in my box and my sunglasses were hideous. I peeled back the label on the lip balm where it says more info and it is made by Admints. Thanks so much for the info on the balm. I didn’t want to mess with the packaging in case I wanted to give it away. Did you get the same sunglasses I did, or a different style? The missing cards are problematic because had I not gotten the card with the eyelash curler I would not have realized I was missing an item. I encourage everyone with Fancy subscriptions to google the hell out of the boxes and make sure they are getting what they are supposed to. I like the shape of mine, but the design itself is a bit much. Thanks so much for reading, I’m glad I could help! I’ll start with a few suggestions that I have reviews of, so you can look through past boxes to see if you like the contents. If you are interested in lifestyle boxes, Popsugar is incredibly consistent and I always get a value out of their boxes. They also periodically offer higher priced special edition box that are full of awesome goodies and are one time buys. If you like fashion, I adore Quarterly’s Nina Garcia box. It comes only 4 times a year and it is a little pricier but the one I received was so worth the effort. If you like jewelry and handmade items, Fair Ivy is lovely. They send really pretty classic jewelry and handmade items from interesting companies that are on Etsy. If you enjoy beauty and nail polish, Julep Maven is great and allows you to skip boxes each month. Joining their subscription also gives you a discount and free shipping on everything from their site. 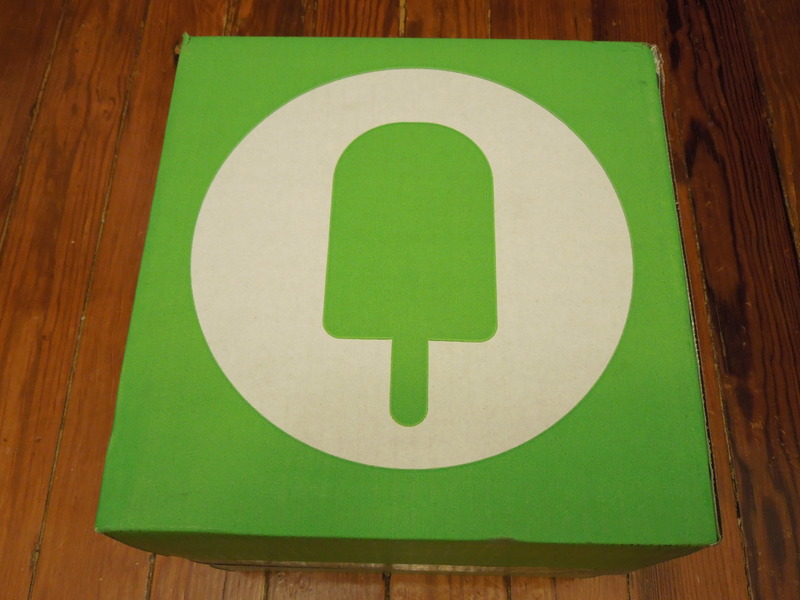 As for boxes I haven’t tried, If you enjoy cocktails as well as wine Julibox looks like a fun subscription, that I’ve been wanting to test out. I also just signed up for Andrew Zimmern’s Quarterly box that is food and travel themed so I should be getting that in a couple months. The first box he sent out was all about paella. I’m so terribly disappointed in the Fancy customer service. On December 15th my credit card was charged with the December Fancy box payment. January 2nd, I still havent received anything so I write in to cs@fancy.com where a nice lady named Shana apologized and said she’s reprocessed my order so I’ll receive my Fancy Box. January 18th, I write another email. No reply. January 20th, I write again. I receive a Martin Luther King, Jr. Day Auto-Response. FYI, I received my December box on 5th February. No apology note, no effort to send me an additional box. Nada. I’d summarize everything you just did and send them another email. They should give you some credit on a gift card for all your trouble. I think Fancy got overwhelmed in December because of the holidays so there were tons of shipping mistakes and weird billing and they are still trying to catch up.